We cordially invite you to participate in the 2nd Conference on Learning Factories, which will take place in Vienna, Austria. 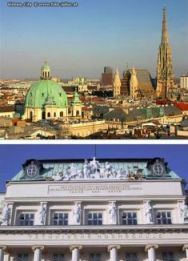 This conference offers you the opportunity to visit Vienna, the “City of Culture” in the heart of Europe! The objective of this conference is meant to provide companies with an insight into how learning factories can be utilized in educating their staff and in creating high-tech research environments that provide space for industry and research institutions to develop innovative results. With the support of learning factories the efficiency and the competitiveness of the European production companies can be significantly increased!